A never-before seen medley at IIFA Rocks 2018 by acclaimed Bollywood music director-singer Pritam along with Sreerama Chandra, Amit Mishra, Shalmali Kholgade, Antara Mitra, Nakash Aziz and Nikitha while Bollywood diva Nushrat Bharucha enthralled the audience with her energetic performance. Television star Mouni Roy put on a rare stage performance. Bangkok, June 22nd 2018: The highly anticipated 19th Edition of NEXA IIFA Awards Styled by Myntra kick-started the celebrations in the most spectacular manner at IIFA Rocks 2018. Transforming the magnificent Siam Niramit Theatre with a perfect mélange of glitz, glamour and star power, IIFA Rocks featured a stunning musical extravaganza, a number of surprises and entertainment all under one stage! 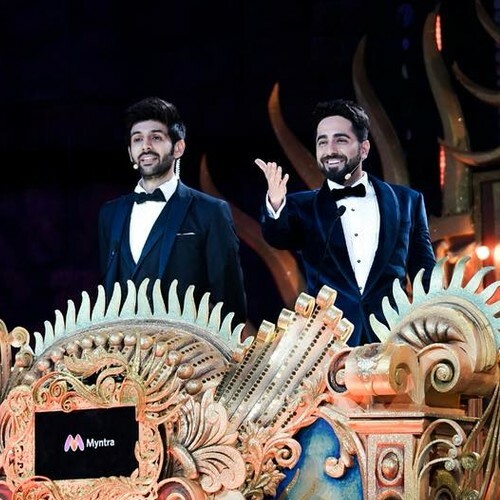 Captivating the audience with their dynamic chemistry, the evening witnessed the talented duo Kartik Aaryan and Ayushmann Khurrana host IIFA Rocks 2018 amidst much fanfare and revelry. A musical spectacle befitting the largest film industry in the world, IIFA Rocks continues to be a platform to showcase musical talents from our industry in the global stage. This year’s extravaganza saw acclaimed Bollywood music director-singer Pritam weave his magic along with talented singers; Sreerama Chandra, Amit Mishra, Shalmali Kholgade, Antara Mitra, Nakash Aziz and Nikitha as they performed a never-before-seen medley that left the audiences spellbound. Captivating the audiences further, Bollywood diva Nushrat Bharucha (of “Sonu ke Titu ki Sweety” fame) enthralled the audience with her energetic performance at the IIFA Rocks stage. The evening also witnessed a rare performance from one of television’s biggest stars, Mouni Roy (of ‘Naagin’ fame) as she returns to the IIFA stage after two years. Adding another interesting facet, India’s leading destination for fashion online, Myntra in collaboration with renowned Indian fashion designer Vikram Phadnis showcased the finest in fashion at IIFA Rocks. 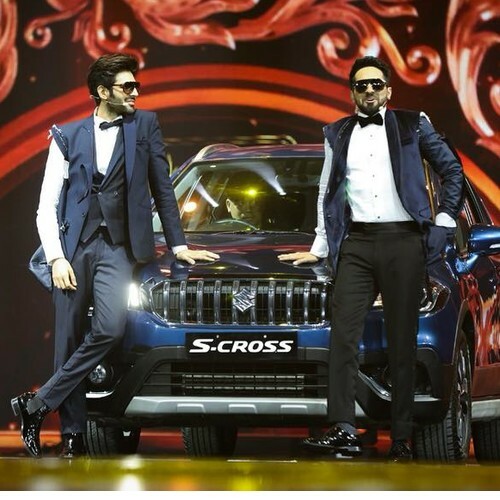 Anil Kapoor & Dia Mirza were the showstopper for the celebrated designer duo Shantanu & Nikhil who showcased their collection extraordinaire inspired by the NEXA brand values, design and colours. IIFA Rocks 2018 also felicitated the winners for their excellence in the technical field. Jagga Jasoos leads the winners list by walking away with 3 awards in the technical category including Background Score (Pritam), Best Choreography (Vijay Ganguly & Ruel Dausan Varindani), and Special Effects (NY VFXWALA - Prasad Vasant Sutar). Other winners in the Technical category featured Bareilly Ki Barfi’s Nitesh Tiwari & Shreyas Jain as they won Best Screenplay and Hitesh Kewalya won Best Dialogues for Shubh Mangal Saavdhan. Marcin Laskawiec, USC winning Best Cinematography and Dileep Subramaniam & Ganesh Gangadharan (YRF STUDIOS) won Best Sound Design for the film Tiger Zinda Hai. 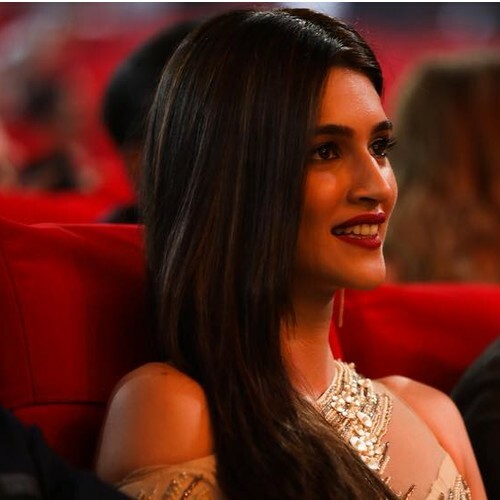 Newton’s Shweta Venkat Mathew earned the Best Editing Award and Nusrat Fateh Ali, A1 Melody Fana & Manoj Muntashir won Best Lyrics Awards for the Mere Rashke Qamar from film Baadshaho. Arijit Singh won Best Playback Singer (Male) for the song Hawayein from Jab Harry Met Sejal and Meghna Mishra won Best Playback Singer (Female) for the song Main Kaun Hoon from Secret Superstar. Other key partners of IIFA 2018 include Official Direct Selling Partner QNET; Brand Partner Ease My Trip, Official Travel & Hospitality Management Partner Wedniksha; Pre-Event Cocktail Partner Superdoc; Airport Hospitality Partner Pranaam GVK Guest Services; Official Hair & Makeup Partner Nabila’s Salon/Cre8 Global; Official Time Partner Craig Shelly. As IIFA continues on its journey with strength to grow every year in the world of entertainment and building the outreach as a major event globally to bring positive results and impact. This year is set to be one of the biggest, most extravagant and amazing IIFA Weekend and Awards to date. Conceptualized and produced by Wizcraft International Entertainment Pvt. Ltd. and supported by the key members of the Indian film fraternity, IIFA is the most appreciated South Asian film academy and a global platform that gives the Indian film fraternity an opportunity to reach audiences in international territories. The alliances made via the platform of IIFA provide huge benefits and gain to India but an equally important objective of this prestigious brand is to create similar outcomes in its host country. The aim is to establish a system of mutual benefit to both India as well as the host destinations by boosting tourism, economic development, trade, culture, cross-border investments and film co-productions. Wizcraft International Entertainment Pvt. Ltd promotes the IIFA Weekend & Awards globally each year and travel to new, exciting and beautiful destinations, taking the film fraternity with it to unite and celebrate the best of Indian film and culture, thereby taking Indian Cinema and India to a wider audience. ABOUT WIZCRAFT INTERNATIONAL ENTERTAINMENT PVT. LTD.
Indian Film Academy (IIFA) Awards & Weekend for 15 years in over 12 countries, Wizcraft has contributed towards brand building for India across the world. It has pioneered and developed India’s biggest entertainment brand IIFA which has taken Indian Cinema and culture to the world. The growth story of the company reflects the evolution of the Indian event management & entertainment industry itself. Driven by its vision “Believe in the power of your dreams” the company is committed to quality and innovation, while setting its sights on greater peaks of achievement.